Discover’s “Hot Deals” page is arranged in such a way that makes it easy to see not only what’s being offered, but also how much time is left for you to take advantage of it. One of the most popular deals offered by Discover is its no purchase fees promo. When you order a personalized Discover gift card for the father in your life, he’ll enjoy no purchase fees. The creative options are a lot of fun and it’s a great way to fine tune it so that it relates to Dad. Some of the classic “Dad” graphics include footballs, coffee mugs and gold bows. It’s a great Father’s Day gift and allows Pop to finally choose a gift that doesn’t include a lighted bow tie or tee shirt with the words “World’s Greatest” on it. Other current promos for Discover include big savings when you purchase Six Flags tickets and a 20% cash back bonus when you use your Discover card at FTD. Finally, the 5% cash back bonus works even more to your advantage when you view the various offers in any given month. Discover has it broken down into categories so that you can easily see where the bigger savings are found in any month. It’s a great way to save big money and with its easy website, you’ve all but eliminated the frustration factor of searching for the right perks. Visa customers have long since enjoyed the many perks the company offers. Visa Signature customers can now enjoy movie tickets, courtesy of Fandango, at deep discounts. Visa is also offering impressive discounts in its “Grads and Dads” promo. From Sears to New York & Company, you’re definitely going to be more than a little impressed. Also, we found a free car rental offer for all Hawaii vacations when you book with Pleasant Holidays through the Visa network site and several free shipping orders for everything from clothing apparel to golf clubs. It’s also broken down in various categories, allowing you to really hone in on the specifics. While you’re on the Visa site, be sure to sign up for the Visa newsletter. It promises deals you can only find by subscribing. 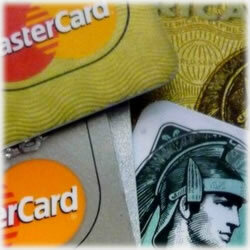 We love the MasterCard Marketplace. With an easy to navigate storefront, MasterCard users can take advantage of discounts made available only through the website. From WalMart and its iPhone inventories to The Home Depot to various restaurants and spas, MasterCard definitely knows how to take care of its card holders. MasterCard also has a weekly “Black Friday” deal, which is sure to raise your interest and a daily “OO” bonus, which is ideal for those who love their rewards points. Of course, no list is complete with the many AMEX perks. American Express calls its network of savings “Selects.” It offers vacation home rentals discounts, cruise discounts, hotel discounts and rental car discounts. You can expect to find at least ten pages of impressive offerings at any given moment on the American Express Selects page. Some of its participating retailers include 1-800-Flowers, Barnes & Noble, FedEx, Bose, Kmart, Pottery Barn, Target and Sears – and that’s just a few. This is a well rounded offering and the number of partners is really impressive. The trick is to find those deals that you can really take advantage of. While many of them offer considerable savings, even the ones that might save only a few dollars along the way are worth the few minutes needed to take advantage of them. As you can see, the credit card companies are beginning to pick up their competitive spirits again with their own unique offerings. Let’s face it, if you’re going to have a credit card, it’s good to take advantage of any perk it offers. If you’ve not checked out the storefronts, now’s a great time to do so.